Also known as foundation piecing, this technique will enable you to produce odd shapes, small blocks and perfect points with ease. 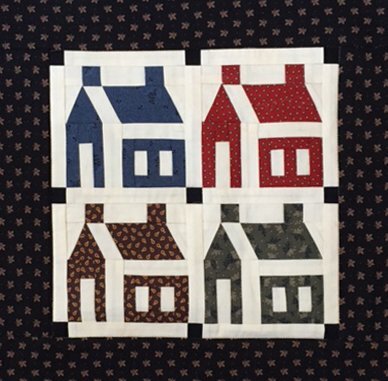 In class, you will learn the process as you make a traditional schoolhouse block (finished size 4"). Use this block as the center of a medallion style quilt or practice your new skills by making 3 more blocks to make a wall hanging or table runner.